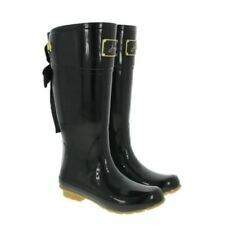 Joules Molly Welly Womens Ladies Mid Calf Wellies Wellington Boots Size UK 4-8. Dispatched with Royal Mail 2nd Class. BLACK QUILTED KNEE HIGH WELLINGTON BOOTS SIZE UK 5 BY DUNE. 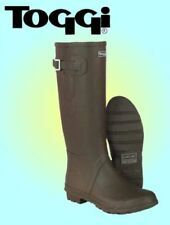 TOTAL HEIGHT OF THE BOOT INCLUDING HEEL 16.5” AND WIDTH ACROSS THE OPENING AT THE TOP LAID FLAT 7.25”. STRAP & BUCKLE DECORATION. Talolo dressy "Paisley Vibe £36" wellies size 7, black, red, green and yellow / mustard paisley floral, not slim but not wide. WOMENS PINK HUNTER WELLIES WELLINGTON BOOTS SIZE 6. Condition is Used. Dispatched with Royal Mail 2nd Class. 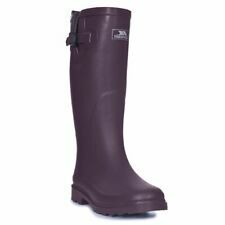 Hunter Aubergine Purple Tall Wellington Welly Boots UK7 Festival Rain. Condition is Used. Dispatched with Royal Mail 2nd Class. 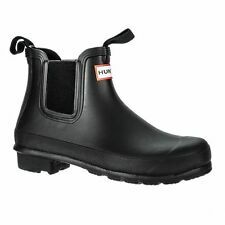 Hunter Wellington Boots Black Original Size 3 36 Glastonbury Festival Wellies. Condition is Used. Dispatched with Royal Mail 2nd Class. Purchased in Selfridges. The Rockfish Original is available in Gloss, giving our wellington an ultra-bright finish. Available in traditional and the latest on trend colours to hit the catwalk. Gloss finish - handcrafted. Extra deep adjustable gusset for a wider calf fit up to 47cm.